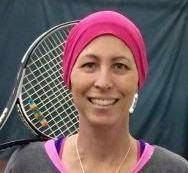 Marla King nee Evans passed away June 14, 2016 at age 47. A memorial visitation will be held Friday 2-9pm with a 7pm memorial service at Neely-Turowski Funeral Home 30200 Five Mile (Between Middlebelt and Merriman). In lieu of flowers the family asks that donations be made to St Mary Mercy Hospital in Marla’s name. Survived by husband, best friend, partner, and soul mate Andy King. Survived by sweet, stoic, loving sons Cooper and Logan King. Survived by devoted, doting, and endlessly proud older sisters Julie Gainer (Evans) and Colette Wells (Evans). Survived by niece, teammate, friend, and confidant Amber Felkins (Wells). Survived by loving summer-weekend-crew family, Jim, Barb, Julie, Tom, Brandon, and Mackenzie Malek and John, Vicky, Alex, Missy, Nicole, and Summer King. Survived by loving nieces and nephews Mallorie and Trevor Gainer and Brad and Courtney Wells. Survived by adoring fur baby, Quinn. Survived by volleyball coaches with fond memories of a dedicated, hard-working, push-it-to-the-limit athlete. Survived by 1988 NJCAA Women’s Volleyball National Championship Schoolcraft Ocelots. Survived by Division II Sunshine Conference Florida Southern Women’s Volleyball Lady Mocs. Survived by numerous inspired former players whose love of and technical skill in volleyball were improved literally by the second under her tutelage. Survived by countless teammates longing for the good old days. Survived by coveted fellow gym rats, amazed at her determination and endurance. Survived by new-found tennis friends and partners, likely surprised at this newcomer’s seemingly effortlessly achieved skill and proficiency. Survived by beautiful hair styles on countless Metro-Detroit women. Survived by recipients of gorgeous and meticulously crafted floral arrangements/gift baskets. Survived by friends- so many amazing friends, providing support in heroic ways and reaching out with beautiful, heartfelt goodbyes. Survived by Warriors taking part in her cancer journey- and fight; celebrating in her resilience, laughing, encouraging, understanding, listening, praying. The King family is ever grateful for your selfless and treasured caring. A life cut tragically short, nonetheless well-lived. Stunning, elegant, and refined on the surface; witty, ironic, and exuberant underneath. Devoted wife; compassionate mother; giving friend; loyal sister; loving daughter; trustworthy teammate; exacting athlete; persistent coach. Every role attacked with vigor, an eye on perfection. While cancer may seem to have won this game, there’s no uncertainty that her legacy will go on to claim the set. Baron, Pat, Scott, and Marla shall be racing together in an American classic in the streets of heaven before the weekend is through.